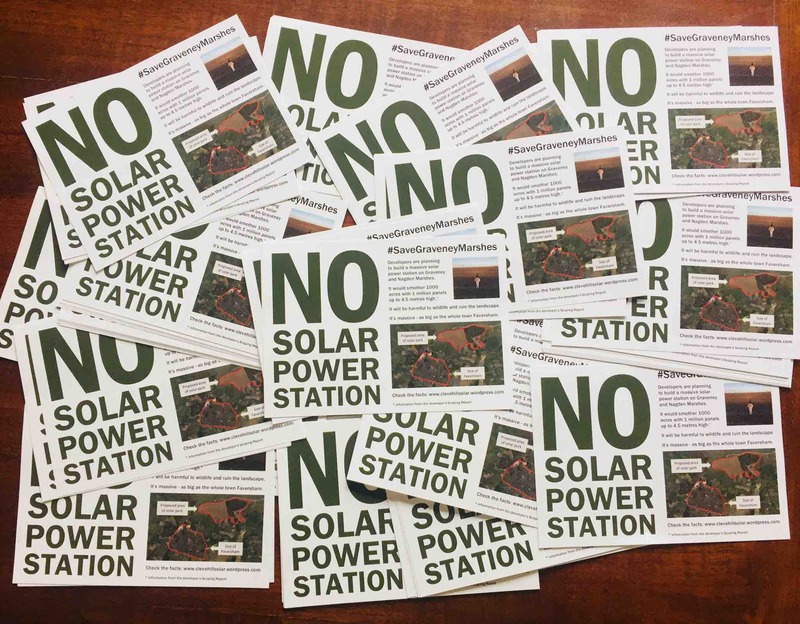 Why oppose a solar park? It’s enormous – monster solar parks like this are normally located in desert regions. 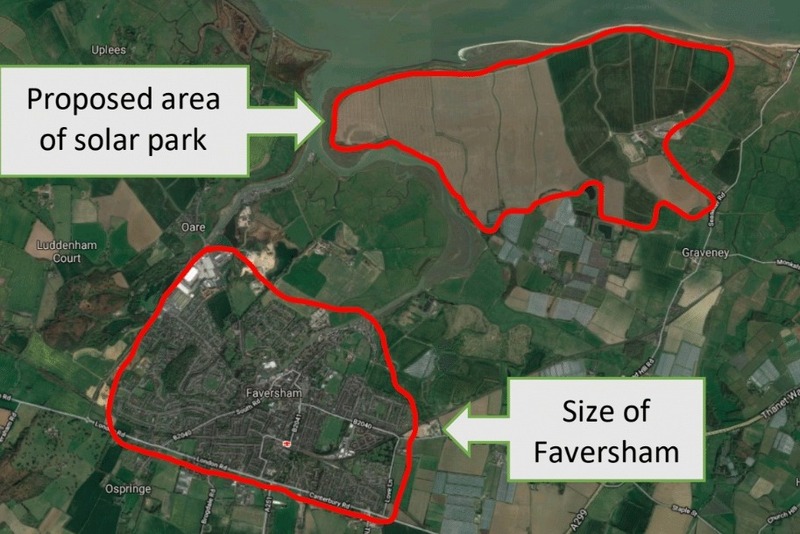 This development is as big as the entire town of Faversham (in Kent in the UK). It's thirty five time bigger than most solar parks and five times bigger than anything else in the UK. It’s the wrong type of development – solar works better at local scale; for example on the roofs of houses. The developers stated aim is to produce the lowest cost energy in the UK – but at what cost? For them this is not about green energy, but making the most profit. What corners will they cut to make this happen? Who (and what) will benefit from this campaign? The area is used by thousands of people for walking and recreation. It is effectively Faversham's back yard providing wide open countryside. The footpaths across the site are heavily used, and the route is famous as being part of the Saxon Shore Way and soon the English Coastal Path. The area is rich in wildlife, many of which is protected. From water voles to common lizards, earwigs to bats, dormice and orchids. It also supports marsh harriers, barn owls, short-eared owls, brent geese, swans, lapwings, skylarks and on and on. We're a group of local residents and we're called GREAT which stands for Graveney Rural Environment Action Team. 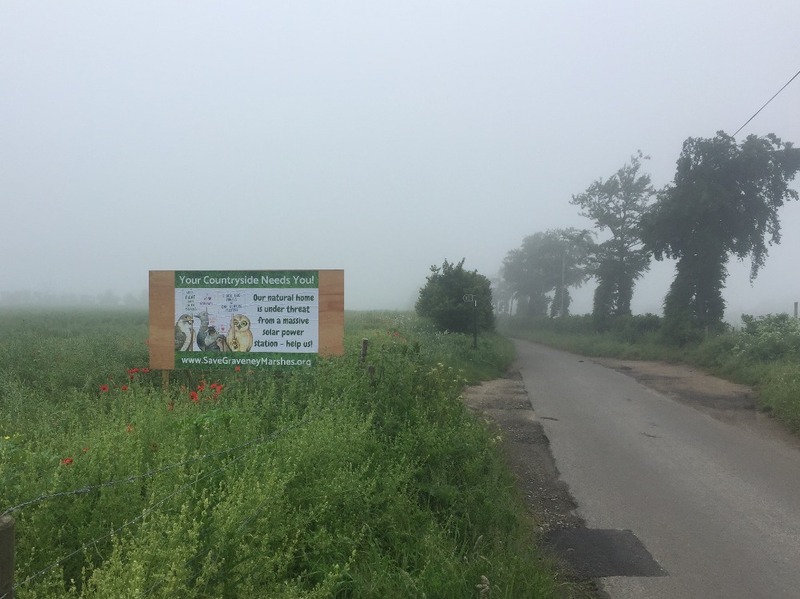 Initially we need to raise awareness of the scheme with local residents, and anyone who cares about this environment. The money will be used in the campaign for printing leaflets, posters, banners, and flyers. We are also looking to bring in specialists and experts who can help where needed. If we get enough people involved we can show why this is the wrong place for a massive solar park. We can highlight better alternatives, and we can protect a space that is valued and treasured by all manner of creatures. We can finally announce... billboard success!! Do have a look what you've helped to make happen. We have our first billboard up, outside the village hall in Graveney. There will be a few others. These are vital to keep the issue present in local people's minds - we're all busy and it can be hard sometimes to remember what is important. We will continue with this and all the other activity to raise awareness. The press and media are beginning to take notice of the next round of consultations. Don't forget to get involved during June and up to 13 July. A quick update... we’ve been busy in all sorts of different ways and I’m aware that they’re not all very visible! But nevertheless, we’ve got flyers, leaflets, and posters produced and these are being circulated in all sorts of ways. Every one of the things you’ve paid for has the potential to get more people aware of this mad proposal! We want to reach lots of different people in different ways. One example is building some billboards which it turns out requires loads of skills - you need the permission of the landowner, source the materials, build the structure so that it is safe and visible, design the graphics, source a printer, raise the money, etc. And, it turns out one of the biggest challenges is to get Parcelforce to deliver the posters to an address - you’d think that would be an easy job for them but apparently not!!! We will get there and in the not too distant future we will have some great billboards helping to spread the awareness. Thanks for all your help so far and please share this message as much as you can. Our first batch of leaflets are back from the printers. Thank you for helping make this happen. We’ll be getting these distributed and of course doing lots more too. Another milestone today - over 50 donations. Thank you to each and every person who has donated. You are fabulous. The campaign is picking up steam too. The fundraiser itself has caught the attention of the press - with Faversham News and, yesterday, Kent Live getting in touch for interviews. They're keen to keep in touch with further stories as things progress. Don't forget that the second phase of public consultation is due to take place soon. The developers were going to do this in April, but they are slipping behind on their timescale. Their most recent suggestion is that it will be in May but they haven't published the details yet. We'll provide updates if and when we hear anything.